The 2018 Honda CR-V returns after a recent overhaul and remains a popular option for Kamuela families looking for generous interior dimensions and advanced safety features. Here, though, we’ll focus our attention on CR-V performance, which overshadows that of the Nissan Rogue and Toyota RAV4. Explore your performance options here, and then come to Big Island Honda in Hilo or Kailua-Kona when you’re ready to take the next step! The 2018 Honda CR-V is available with two different engines, both of which are offered with both front-wheel drive (2WD) and all-wheel drive (AWD), and a standard Continuously Variable Transmission (CVT) with Sport Mode. Here’s a look at both engine options: in terms of power. 4L I-4 – Standard on the base LX trim only is a 2.4L four-cylinder engine that generates 184 hp and 180 lb-ft of torque. This places the CR-V between the HR-V and Pilot in terms of power. When you’re looking for adept performance and traction, the Honda CR-V offers a state-of-the-art Real Time AWD with Intelligent Control System. This system helps you navigate difficult road conditions and inclement weather by judging driving conditions, and sending power to the wheels that need it most. Whether you’re on a rocky road or slippery surface, the Honda CR-V AWD has you covered. Find the New CR-V at Big Island Honda! The 2018 Honda CR-V SUV’s performance is just one of its many winning qualities—and we can’t wait to show you the rest! 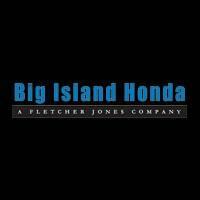 Big Island Honda has locations in both Hilo and Kailua-Kona, both of which are open Monday through Friday. Take a trip from Waoimea to browse our new CR-V inventory, or schedule a test drive online!